Should You Microchip Your Small Breed Dog? For every happy homecoming tale of a microchipped dog, there is another person advising of the dangers to their dog’s health because of the chip. What is a new dog owner to do? There are many happy stories of dogs who get lost, run away or get separated from their owners to find their way back home because the owner took the time to microchip. Most veterinarians recommend them and virtually all rescue organizations and human societies implant them in a dog who is being adopted. Unfortunately, only implanting a dog or puppy with a microchip is not going to save his life and, in fact, there are some sad cases where the dog was microchipped, but still euthanized by animal shelters without the knowledge of the dog’s owner. A microchip will not bring a stolen puppy back to his owner. This is not a panacea for the happy return of all lost or stolen dogs. Dogs are not the only animals being microchipped. Cats, Zoo Animals, birds, reptiles, ferrets, and just about any animal can be implanted even fish. There are many countries that are now making it law that dogs be microchipped. Currently dog are required to be microchipped in Portugal, Singapore, and Bangkok and dogs in England will be required by 2016. Some states in the U.S. are moving towards a mandatory law as well; some such as El Paso and Los Angeles County, have already passed ordinances stating that dogs residing in their jurisdictions be microchipped. At a size equal to a grain of rice, Microchips are injected under the skin of a puppy or adult dog between his shoulder blades. They use what is called, passive Radio Frequency Identification technology, where passive means that the chip is inactive or inert until an appropriate scanner activates it and displays a number. It is not a GPS and cannot be used to locate a lost animal. Most veterinarians and animal shelters are capable of implanting these tiny chips, as well as rescue organizations and some breeders. Although the needle is larger than one used for vaccines, the shot usually does not bother most dogs. Puppies that are 6 weeks or older can be microchipped, but small dogs are usually too small to chip at that age. The American Kennel Club recommends that the puppy weigh least 2 pounds before being implanted. Chips are implanted between the shoulder blades just under the skin. People worry about whether there will be pain. Most dogs tolerate the injection, but since the size of the needle is very large, (12 gauge) the dog is going to feel the prick more so than he would a simple vaccination with a tiny needle (25 gauge). Needles are numbered where the higher the number, the smaller the needle. No anesthesia is necessary, but some veterinarians will give the dog a little local numbing to reduce the stress. Luckily, they generally last a life time, so it is a one-time deal. The veterinarian or technician will scan the dog first to be sure there isn’t already a chip implanted. They will check the bar code on the microchip, inject it into the animal just as if it were a vaccine or subcutaneous shot and then recheck to be sure the number can be read by a scanner. Once inserted, you will need to register your chip. Each microchip comes with registration paperwork that can be mailed in or completed online. There is usually a fee, and you will need to renew your information should you move or the animal is transferred to a new owner. An inserted microchip is useless unless the owner registers with one of many agencies designed to collect the owner’s information and microchip number. According to Petfinder.com, the average price to microchip a dog in the United States is $45.00; however, this is only an estimate depending on where you live and who is implanting the chip. Sometimes, humane society or even a breeder can do the procedure for less. Some municipalities that offer low cost vaccines may throw in free microchips, so it is worth watching for these events in your community. This upfront cost may or may not cover the cost to register the microchip. Registration fees are usually separate and paid to the chip’s manufacturer. When owners decide whether they are going to have their animals’ microchipped, they must understand that it is a two-step process. First, the cost to implant a chip, usually performed by a veterinarian, and then the cost to register the chip, which is often the task given to the owner. Sometimes, the veterinarian will charge a flat fee and take care of registering the chip. If money is an issue, ask about costs before continuing with the procedure. There are some companies that are now allowing people to register their animal for free. Found Animals Foundation is one such registry that will allow you to sign up, register and maintain your records for free. Microchips come in three different frequencies. The frequency of a microchip refers to the type of signal emitted by a scanner to activate and read the microchip. The microchip does not have a power source and can only be read by a scanner capable of picking up the chip’s frequency. So, the person or agency reading the microchip must have the correct scanner. The 134.2 kHz is the International Standards Organization (or ISO) standard and is the primary frequency used worldwide. It is also the one that has been endorsed by Professional groups including the American Veterinary Medical Association, the American Animal Hospital Association, and the National Standards Institute (ANSI). The 125 kHz microchip is still dominates the industry. There are currently several types of scanners currently in use which also complicates the picture in the U.S. Forward-reading scanners only detect 134.2 kHz (ISO standard) microchips but will not detect 125 kHz or 128 kHz (non-ISO standard) microchips. Universal scanners, also called forward- and backward-reading scanners, identify all microchip frequencies. The main advantage of using a universal scanner is that it improves the chance of being able to read any microchip, regardless of the frequency and the chip’s manufacturer. 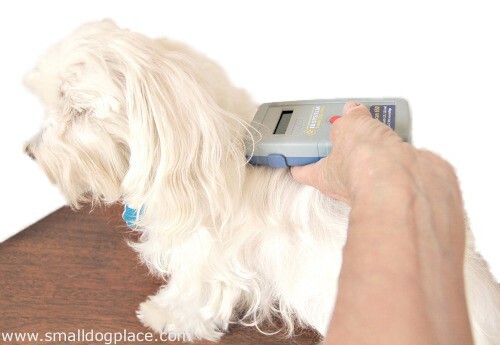 Unfortunately, not all humane societies, rescues and animal shelters or veterinarians own a universal scanner. Poor scanning techniques may also fail to locate a microchip. There have also been instances where the microchip migrated away from the insertion site and was not found by the humane society personnel. Now, let’s assume you have microchipped your dog, and he gets lost. A kind person finds him and takes him to his local vet. The veterinarian scans for and finds a microchip. Now what? At this time, there is not one database in the U.S. for registering microchips. Unlike many countries, the U.S. has not adopted the ISO standard, so each microchip company maintains its own registry and there are many companies out there competing for your business. In 2009, the American Animal Hospital Association set up an internet based tool, the Universal Pet Microchip Lookup Tool which provides a listing of the manufacturer with which the microchip's code is associated as well as if the chip information is found in participating registries. The key word here is “participating” meaning that not all microchip companies elect to participate in the program. It is available to anyone: veterinarians, humane organization, or pet owner to search the different registries. The tool does not provide owner information. For that information, the person using the tool will need to contact the manufacturer associated with the chip. Usually there are no problems associated with microchipping a pet. However, there have been some reports of microchips causing cancer, inflammation and problems at the site of insertion. Relatively rare, dog owners should be aware that microchipping their dog is not completely risk free. According to Dr. Karen Becker from Mercola, there have been two cases of sarcoma or fibrosarcoma have been reported in the veterinary literature. Additionally, between 1996 and 2006, up to 10% of laboratory mice and rats had a reaction to the microchip which ranged from a localized inflammation to tumor formation. 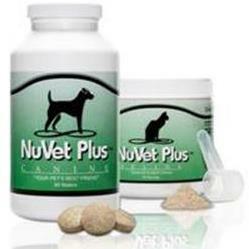 At this time, there is not a clear understanding as to why cancer is occurring in lab mice rats and dogs. In the January/February 2011 issue of Dogs Naturally magazine, a tiny 6 week old Tibetan terrier suffered neurological damage as a result of a microchip. In another case, a three-year-old female Yorkshire terrier, who had been microchipped 3 years prior, developed severe lameness and could not bear weight on her front left leg. The muscles in her leg were wasting away, and a x-ray revealed that the implanted chip had lodged in her spinal column. The real reason people microchip their dog is the peace of mind knowing that if he gets lost, he has a higher chance of being reunited with you. There are definite risks, and no system is fool proof. 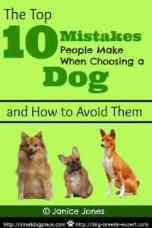 Before making a decision, consider your own dog? Does your dog spend most of his time in your home? Is he only allowed out on a leash or within a securely fenced area? Do you supervise all outdoor time? Does he come immediately when called? Has he been trained to Wait at the door rather than bolting out the minute the door opens? Do you live in an area where implantation is not required by law? If you answered yes to all of the above, perhaps your dog does not need a microchip. But, if your dog does not consistently come when you call, gets loose from his collar, darts away each time a squirrel climbs a tree, or bolts out the front door at any chance he gets, he might be a good candidate. Additionally if you travel regularly with your dog, it might be a good idea, especially if your travel plans include visits to countries where microchips are required. The best advice is buyer beware. Do your research before making any final decision and as a small dog owner, be sure your puppy is big enough to handle implantation and understand the risks.